The countdown to the first day of school has officially begun! I can’t believe it’s the beginning of August! Thankfully my little guy won’t be going to K4 until next fall so I get one more year of him being completely home! 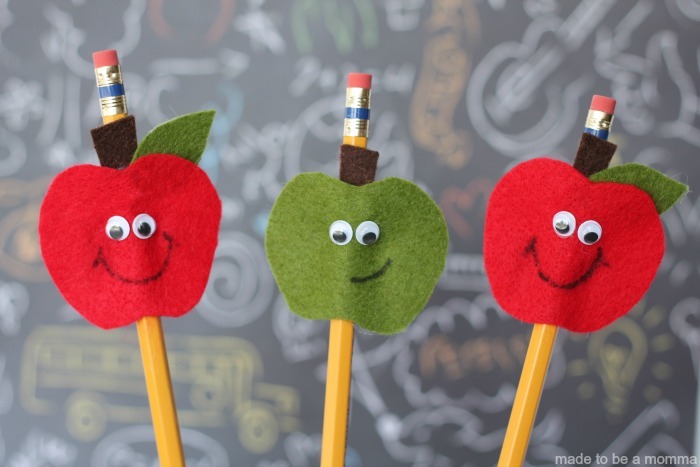 I have always enjoyed back to school supplies and I remember looking forward to getting new folders, pencils and notebooks each summer! It was always so fun to fill up our back pack with new goodies! 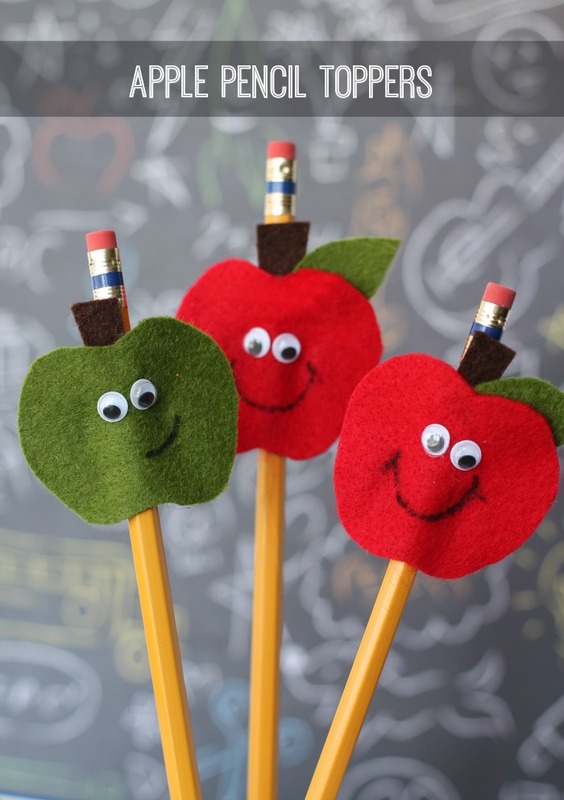 I thought it would fun to make these apple pencil toppers! They were super easy to make–even the kiddos could do it! 1. Cut out an apple shape out of your red or green felt. You will also need to cut out a small rectangle piece, a stem and a leaf shape. 2. Glue your stem and leaf together and glue to the back of your apple shape. 3. Glue your googly eyes on top. 4. 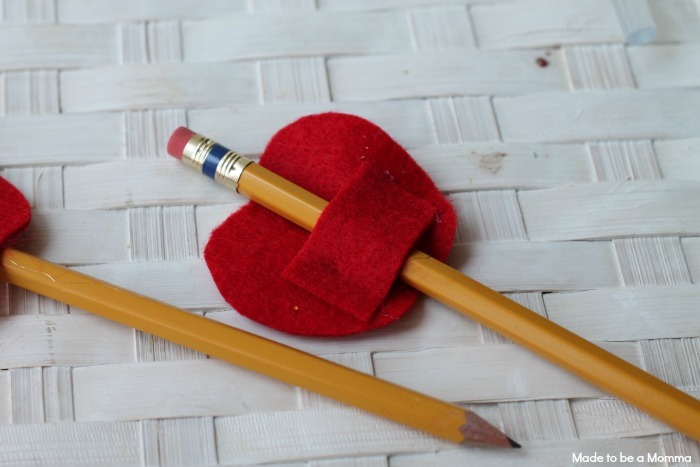 Glue each end of your rectangle piece of felt to the back of your apple shape leaving enough space in between to slide your pencil through. These are sooo cute! My kiddos would love these for school!